Brief Description of Subject: Left Panel: Two sheep with shepherd staffs, red cross in background, manger with ‘IHS’. 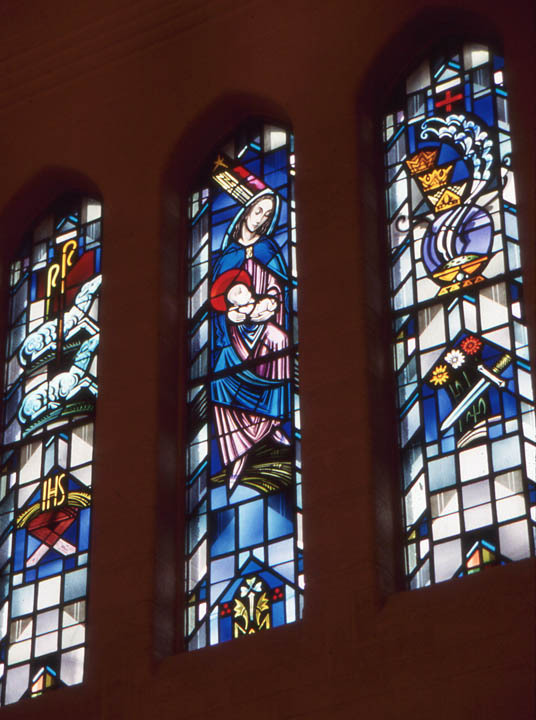 Center Panel: Star of Bethlehem, Mary holing baby Jesus. Right Panel: Three crowns, red cross, censer, flowers and sword.